Whether you’re new to the world of vaping or a seasoned pro, it pays to know where you can and where you can’t bust out your favourite vaping device. Unlike cigarettes, regulations and laws pertaining to the use of electronic cigarettes can vary wildly from one jurisdiction to another. 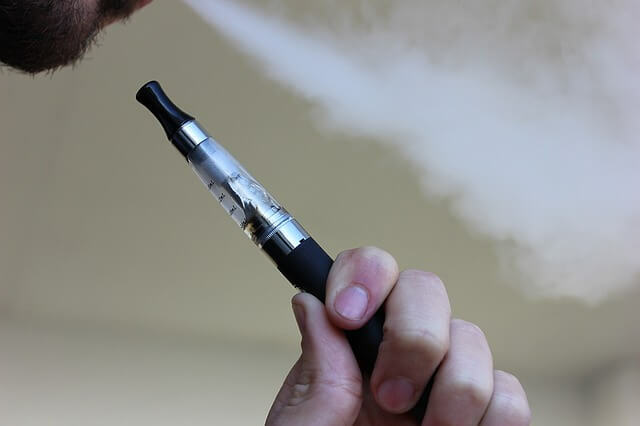 Having said that, it’s simply not enough to keep abreast of your own city’s ordinances and continuous legal debates – in many parts of the world, getting caught in the wrong place at the wrong time with an e-cigarette could land you in a bit of hot water. Before crossing state or provincial lines or travelling internationally, it’s in your best interest to find out exactly where the place you’re traveling to, like this example, stands on vaping. Though the global legal landscape surrounding e-cigarettes can be characterized as ‘unclear’ in the broadest of terms, there are a number of countries where the use, sale, and import of e-cigs are strictly prohibited. Admittedly, it’s safe to say that what’s true today may not be true tomorrow, but when it comes to traveling to a foreign land, it’s generally best to err on the side of caution. In many countries in South America for instance, electronic cigarettes are either prohibited (Brazil, Argentina, Ecuador) or the regulations concerning them are so far from being clear that you might as well leave your device at home (Bolivia, Columbia, Venezuela). Further complicating things, some countries, like South Africa, permit electronic cigarettes but prohibit e-juices that contain nicotine. In others, like Ukraine, electronic cigarettes are classified the same as tobacco products and therefore cannot be enjoyed in public spaces. In North America, most jurisdictions are permissive of vaping, though you may find a discrepancy between regions in terms of municipal by-laws. Sounds like a lot to keep tabs on right? Well, it doesn’t have to be. Necessity being the great inspiration that it is has led to no shortages of interactive maps available online. These maps help users to flush out whether or not a particular place is vape-friendly. Handy as these tools may be, they should be regarded as a starting point. They can help you determine the degree to which e-cigarettes are permitted, but they might not all provide you with a substantial amount of detailed information. Canada, as a country, is considered to be friendly to the vaping community. But that doesn’t mean that vaping hasn’t faced an uphill, legislative battle in the Great White North. In fact, in the province of Quebec, the recent passing of Bill 44 has certainly dealt a blow to vapers. Essentially, the passing of Bill 44 means that electronic cigarettes are considered to be one and the same as tobacco, and therefore must adhere to the stringent regulations imposed on conventional tobacco products. In many places, the classification of e-cigs has been a very hotly debated issue. Understandably, it may be difficult for vapers to accept legislation like Bill 44 considering that e-cigarettes contain no tobacco, require no combustion to deliver nicotine, and have been repeatedly shown to pose significantly fewer health risks than smoking (at least in the short term. Studies continue to examine the long-term health effects, if any, electronic cigarettes may pose). Additionally, Bill 44 restricts vendors in terms of marketing their product, limiting what can and can’t be posted on their e-commerce site, and even what they can discuss on their business’ Facebook page. Not to be outdone, in the United States, there are a growing number of jurisdictions that are classifying e-cigarettes as tobacco or tobacco-derived products, much to the chagrin of the vaping community. Shockingly, more than 475 cities and counties have extended the scope of their no-smoking ordinances to include e-cigarettes, dictating where and when one may choose to vape. Though tough legislation may be a bitter pill to swallow, it may be one that must be endured for a little while longer. It seems as though given the many different classifications, ordinances, and regulations surrounding e-cigarettes, the only respite that vapers can hope for will come when the medical community definitively and unequivocally concludes that vaping is completely safe.